We’re a truly global team, working across 39 countries to ensure our hungry customers are able to find, order and receive their favorite food in the fastest way possible. 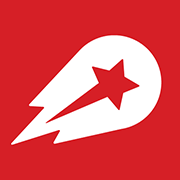 Since we began our journey in 2011, Delivery Hero has quickly become the world’s largest food-delivery network, focused on a culture of growth in terms of both size and opportunities. If you’re an enthusiastic and innovative problem solver who is hungry for a new adventure – an exciting role in an international workplace is waiting for you in the heart of Berlin!